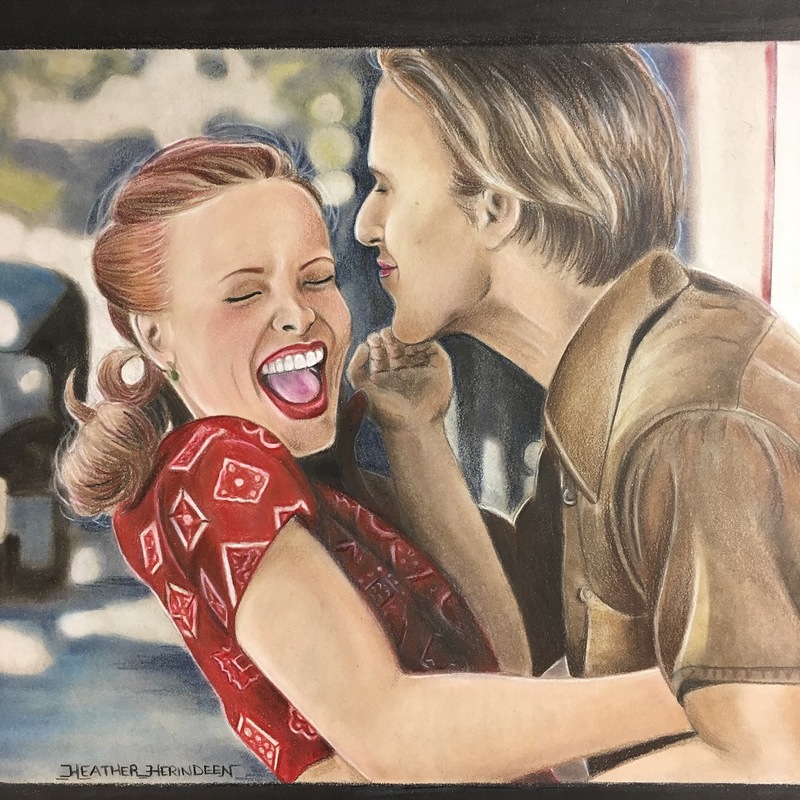 This piece is on 11x14in Strathmore toned gray paper, crafted using Pan Pastels and Prismacolor colored pencils. Black borders on the top and bottom of the piece gives it a classic cinema vibe. Perfect for movie lovers; this artwork will fill your space with that classic Hollywood feel.